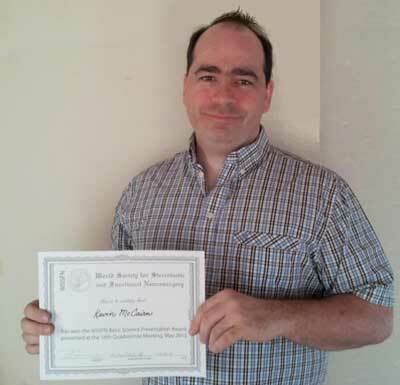 Dr Kevin W. McCairn has won the award for Best Basic Science Presentation at the 16th Quadrennial Meeting of the World Society for Stereotaxic and Functional Neurosurgery 2013 in Tokyo. Dr McCairn received the award for his presentation of ‘Deep Brain Stimulation Eliminates Tic Related Neuronal Activity via Interlocking with Stimulus Pulses’. The award recognizes the technical and conceptual advances that Dr McCairn has made using nonhuman primates in understanding complex movement disorders and their response to neurosurgical intervention.